KaliBwoy was born the 28th of December as Natalio Rijssel in Amsterdam. Both his parents were born in Surinam who gave him his South American roots. While growing up on the streets of Amsterdam, Kali has always been a great fan of music. At a young age he had already been introduced to the Reggae/Dancehall culture and her music. Think about artists like Sizzla, Peter Tosh, Ninja Man, Buju Banton and of course the legendary Bob Marley. KaliBwoy gets his strength from the styles of artists like Sizzla and Vybz Kartel. Inspired by friends in Surinam, Kali’s love and passion for the music becomes stronger and more serious. Spontaneously he started to write lyrics for reggae/dancehall songs. In the same period Kali is also picking up “Patwa” , the Jamaican language, easily and without any help. When people started to give him positive reactions on his writing and mc skills, Kali only got even more motivated and determined. So he kept on writing and writing.After a while he came in contact with the “Dredda Youthz”, for their first project. During this experience Kali was able to master the skills to perform with a live band. It was early 2008 when KaliBwoy started to focus on his solo career. At the same time he crossed path with the gentlemen of StylzMatic Music. As a result, Kali began to work with the multitalented producer “THEprinceOFbeatz”. After this it became very clear that his talent, powerful energy and his tremendous lyrical skills would be a perfect match with the expertise and creativity of StylzMatic Music. 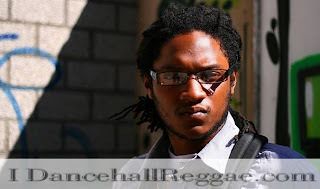 In the same year Kali joins the Jamrock Sounds family as a show host. Jamrock is one of the most promising sound systems of Europe. So every week Kali is sweeping and firing up the crowd at the biggest venues with Dj Waxfiend, Dj MBA and DJ jah. He’s sharing the hosting honours with Maikal X, formerly known as Shyrock of Postmen. In not much time Kali has presented himself as a top class artist and a good host. After months of hard work in the studio, KaliBwoy is finally releasing his first mixtape, under the StylzMatic Music label, called: Mission Tek ovah “Phase one”. Kali has proven himself and performs on stage together with bigger artists like Mavado, Elephant Man, Vybz Kartel and many more!